Hello! 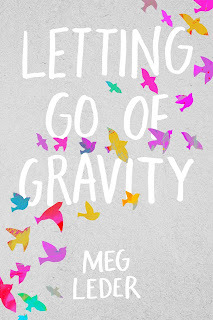 Welcome to the next stop on the Letting Go of Gravity blog tour hosted by Rockstar Book Tours. I'm really happy to share my thoughts on this book with you! And of course, there’s the one other major difference: Charlie got leukemia. Parker didn’t. I received an ARC from the publisher via NetGalley in exchange for an honest review. My thoughts and opinions are my own. Any quotes I use are from an unpublished copy and may not reflect the finished product. I’m still processing this one, so I’m going to start with some pros and cons. I’ll be back to elaborate later! Pro: I loved that this was a book about twins. They were trying to figure out who they were together and individually, because Charlie’s illness changed the rules. Pro: I think the author does an excellent job portraying Parker’s anxiety. It felt realistic, and I’m sure a lot of people will be able to relate. Con: Things slowed down at the end and there were a few things I didn’t agree with. Pro: The were some amazing secondary characters! Em was golden. Edit 08/18/18: Full review here. 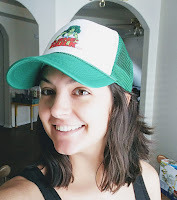 Meg Leder is the author of Letting Go of Gravity and The Museum of Heartbreak, and the coauthor of books including The Happy Book and The Book of Me. 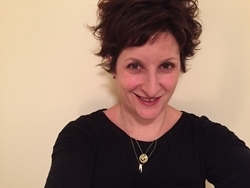 A former bookseller and teacher, she currently works as a book editor in New York City. She spends her free time reading, looking for street art, and people watching. She lives in Brooklyn with her cat Tim Riggins. 3 winners will win a finished copy of LETTING GO OF GRAVITY, US Only. I have never seen or heard of this book so far, but by reading the synopsis of this book, it is something that I would be interested in reading. Now that I think about it, there aren't many books that I can think of on the top of my head that feature twins as the main characters. There are plenty of books with twins IN them, but they're never focused on. I always like a good secondary character. This sounds like a good book. Sounds like you liked it overall. It sounds good but I’ll wait till your full review. I've been hearing a lot of good things about this book! I like the twin relationship, it can be a complicated one!